“How often do we tell kids they can be anything they want to be when they grow up? How important is it to be nurtured and inspired by a great teacher who believes in them? 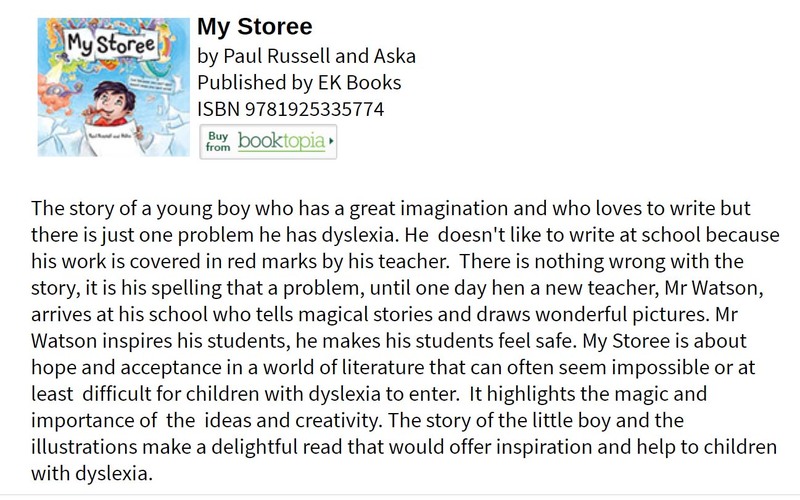 It’s the premise of new book called My Storee… by primary school teacher Paul Russell, who suffered from dyslexia himself”. Click here to listen. “Aimed at 4-10-year-olds, the book tells the tale of an imaginative boy who hates to write at school because he’s so discouraged by the red corrections all over his work.” Click here to read. “A must to have for the start of the school year to encourage those reluctant writers and some food for thought for teachers to consider when planning writing and spelling lessons.“ Click here to read. 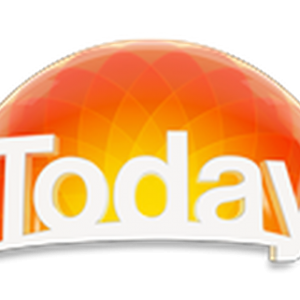 “…encourages kids to explore their creativity without being held hostage by the difficulties spelling presents for people with dyslexia.” Click here to read. 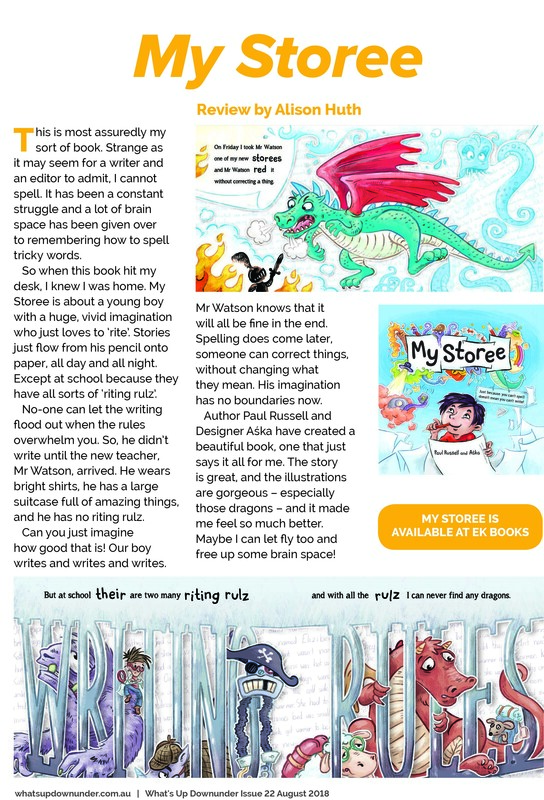 “My Storee demonstrates the importance of good teachers, and also inspires dyslexics and reluctant writers to have a go.” Click here to read. “Children with dyslexia or those who have trouble with spelling will love My Storee.” Click here to read. “A new book is set to change the way Aussie kids view dyslexia.” Click here to view. 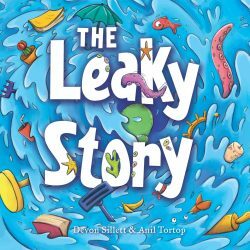 “Illustrated in a total explosion of colour… as soon as my daughter finished reading this story she ran off super excited and inspired to write her own story, which I totally loved. 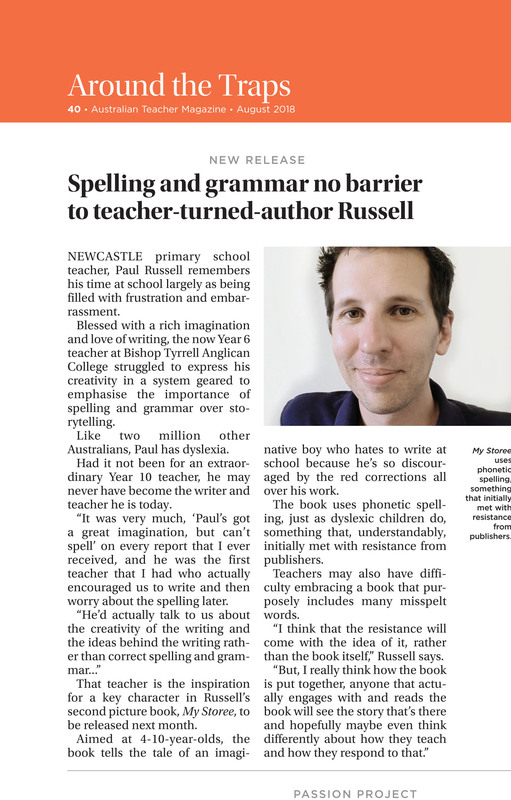 Even though this inspired by Paul’s experiences with dyslexia, I actually think it is equally relevant to to any young kid learning to write”. Click here to listen. 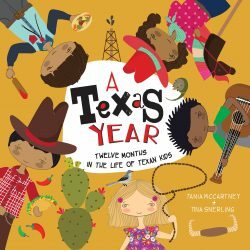 “This book is also a reminder that we need to give ourselves and our little ones the space to create and there is always a time to critic later.” Click here to read. “I wish I could do two reviews of this book. It’s written by a person who experienced dyslexia when young, and had some bad experiences at school. 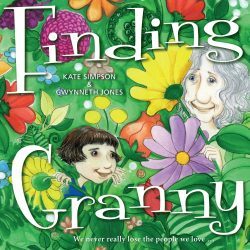 My granddaughter has been diagnosed with dyslexia, and I’d love to share the book with her.” Click here to read. 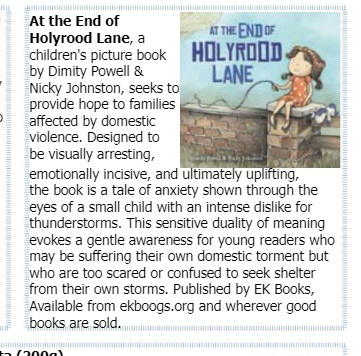 “My Storee is about hope and acceptance in a world of literature that can often seem impossible or at least difficult for children with dyslexia to enter. It highlights the magic and importance of the ideas and creativity.“ Click here to read. “Author Paul Russell and Designer Aśka have created a beautiful book, one that just says it all for me. The story is great, and the illustrations are gorgeous – especially those dragons – and it made me feel so much better…” Click here to read. “The illustrations in My Storee are colourful and joyous, filled with cartoon characters such as live pencils, surfing mice and unicorn detectives, so they are sure to be enjoyed by child readers.” Click here to read. “This book will be a huge encouragement to students struggling with learning disabilities, and will help teachers reinforce the idea that the classroom is a safe place to have a go.” Click here to read. 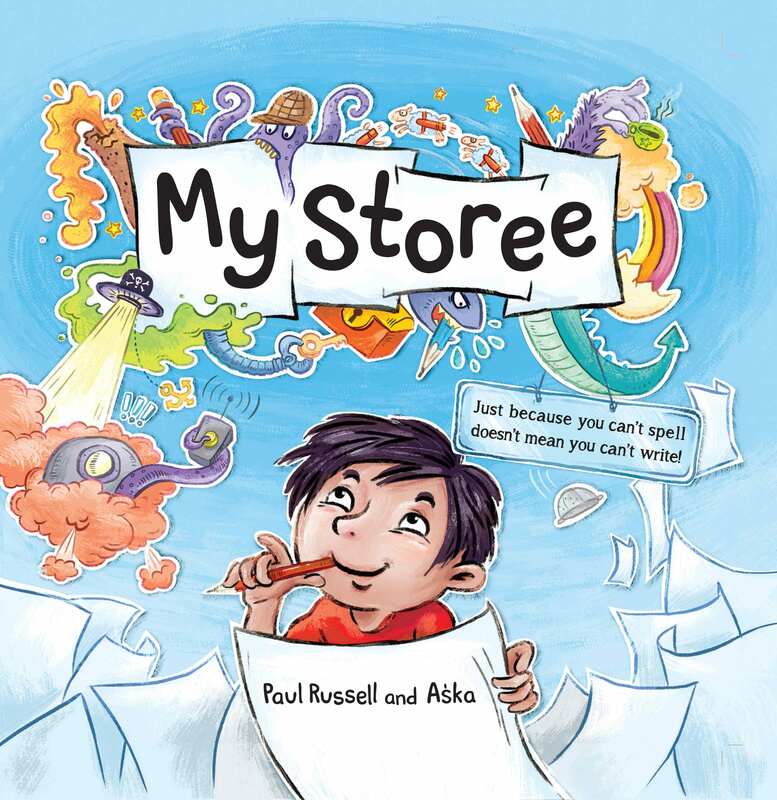 “…”My Storee” is a critically important and unreservedly recommended addition to family, daycare center, preschool, elementary school, and community library picture book collections for children…” Click here to read. “My Year One students found this story engaging and loved the message just because you can’t spell doesn’t mean you can’t write.” Click here to read. 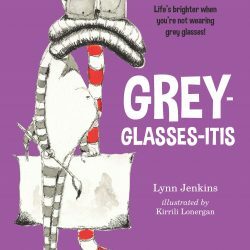 “Provides inspiration for reluctant writers and dyslexic children and shows the power of good teachers.” Click here to read. “…a delightful look at the importance of creativity, and the problems faced by many writers around spelling and grammar. The message is not that spelling never matters, but that creativity is needed too – and should be valued by creator and teacher alike. While being a good message for youngsters about taking risks, it is also a good reminder for teachers and parents that putting technical correctness ahead of creativity can stifle the latter and thus lead to students not writing at all.” Click here to read.